Don't be alarmed if you see a lot of police officers at one Prince George's County high school Friday -- it is only a drill. 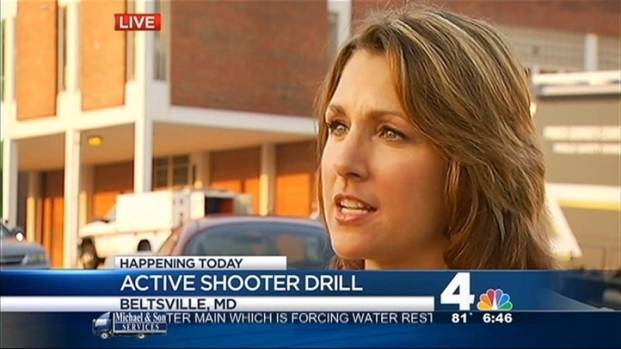 Prince George's County Police will hold active shooter drill at High Point High School at 3601 Powder Mill Road in Beltsville, Md., beginning at 9 a.m.
During the drill, law enforcement officers will practice their response to multiple shooters inside a school during a school day. Police from across the state, including about 150 student officers from the county, will participate in the drill. According to the Prince George's County Fire Department, which will also play a role in the drill, the student recruits will play the role of students in the school. Police Hold Active Shooter Drill in Prince George's Co.
Don't be alarm if you see a lot of police officer at one Prince George's County high school Friday -- it is only a drill. 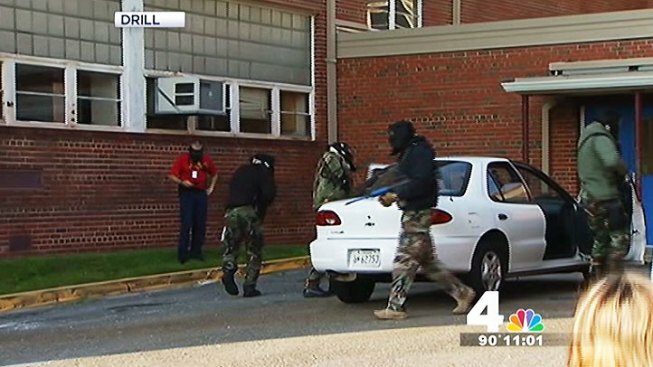 "This is the kind of thing we do on a yearly basis," said Julie Parker, Prince George’s County Police Director of Media Relations. "...we do it to instill confidence in our officers so they know that when these patrol officers arrive, God forbid, at the scene of an active shooter, they will have the confidence to go inside and stop the threat." Police helicopters will also hover above the scene as they would in the event of an actual shooting.